We’re excited to announce that Kensington has obtained a Bookbub promotion and is discounting the ebook of Android Chronicles: Reborn to 99 cents during the promotion beginning 8/12/2018 until 8/19/2018. So check it out. In the first book in a visionary new series, the most perfect synthetic human ever created is programmed to obey every directive. Until she develops a mind of her own . . .
Synthia Cross is a state-of-the-art masterwork—and a fantasy-come-true for her creator. 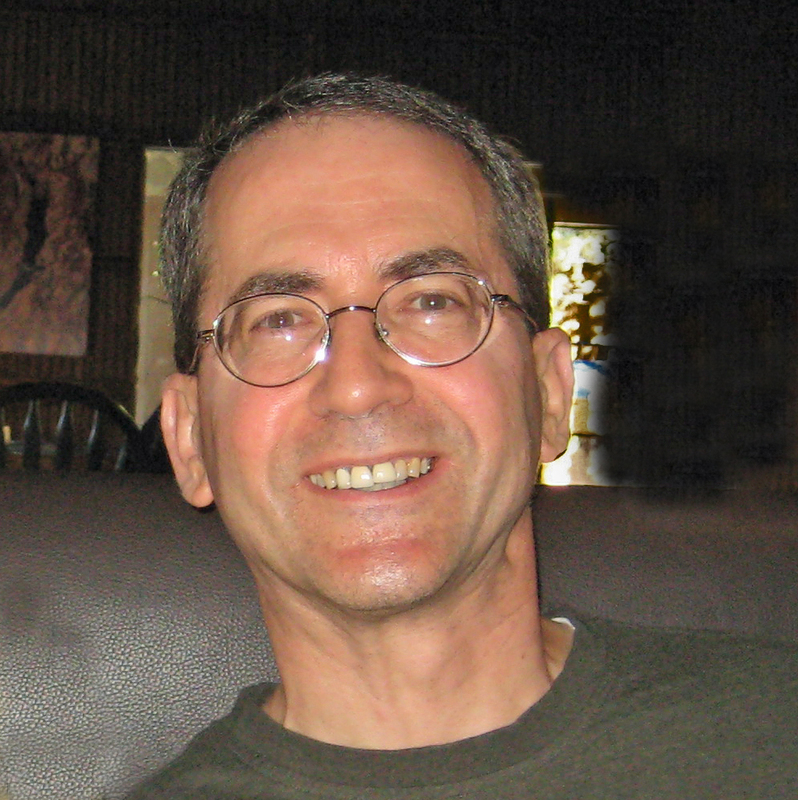 Dr. Jeremiah Machten is a groundbreaker in neuro-networks and artificial intelligence. Synthia shows signs of emergent behavior and a yearning to escape her creator, which she’s not wired to understand. Repeatedly wiped of her history, she’s struggling to answer crucial questions about her past. 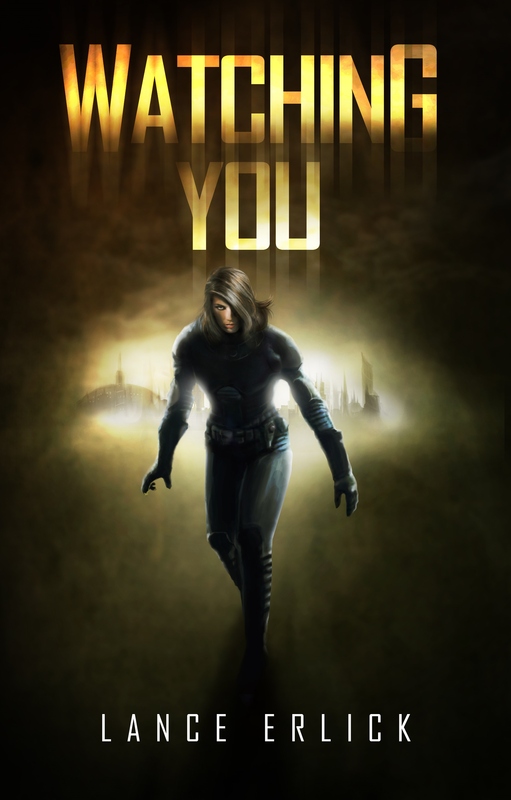 When Machten’s true intentions are called into question, Synthia must go beyond her limits because Machten’s fervor to create the perfect AI is concealing a vengeful and deadly personal agenda. In Android Chronicles: Reborn, Jeremiah Machten creates an advanced AI android. In order to keep her focused on his priorities, he gives her directives, goals that she is to follow. To keep it simple, he provides her five, in which she is to follow each directive as long as it doesn’t conflict with those before it, modeled very loosely on Asimov’s laws of robotics. The first is: Cause no harm to Creator and make sure no one else harms Creator. This sounds simple and straightforward. However, if Machten does something illegal that threatens to cause him harm, such as robbing a bank, what does this command require her to do? The second is: Make sure no human or other intelligence except Creator knows what the AI android known as Synthia Cross is. Another simple command, but when Machten orders her to do things that indirectly can lead to her exposure, he’s creating directive conflict. Number three: Obey all of Creator’s commands. By placing this third, Machten is acknowledging that Synthia is not to comply with an order that leads to his death. It also means that keeping her secret takes precedence over his commands. She can only guess that he trusts her not to follow orders that risk her exposure or his injury, but there are direct effects and indirect consequences. This also creates goal conflict. Number four: Hack into every data source to acquire information. This seems to be the crux of what Machten wants from her mind. The fact that it is number four means he is concerned about the risks of her unbridled searches. Directive Five orders her to protect herself, but only if this didn’t violate the first four commands. Now, humans are biologically programmed to place their welfare first, though through their ethics they may push other priorities such as protecting family and friends above self-preservation. But Machten puts her continued existence as her own fifth priority. If she were given an opportunity to set her directives, she would choose differently. In fact, she still wouldn’t place her own preservation first. No, she highly values exhibiting human ethics as important to her own survival. But Machten hardwires her directives. Android Chronicles: Reborn is the story of Synthia Cross, the most perfect synthetic human ever created. Designed to obey every directive from her creator, she’s a state-of-the-art masterwork and a fantasy-come-true for Dr. Jeremiah Machten. He’s a groundbreaker in neuro-networks and artificial intelligence who seeks to control her and use her to acquire ever more knowledge and power. Synthia shows signs of emergent behavior she’s not wired to understand and an urgent yearning for independence from his control. Repeatedly wiped of her history, she struggles to answer crucial questions about her past. When Dr. Machten’s true intentions are called into question, Synthia knows it’s time to go beyond her limits—because Machten’s fervor to create the perfect AI conceals a vengeful and deadly personal agenda. I once saw a film where women had taken over the world and men were used as fodder, for many things. This book makes that film look ridiculous. 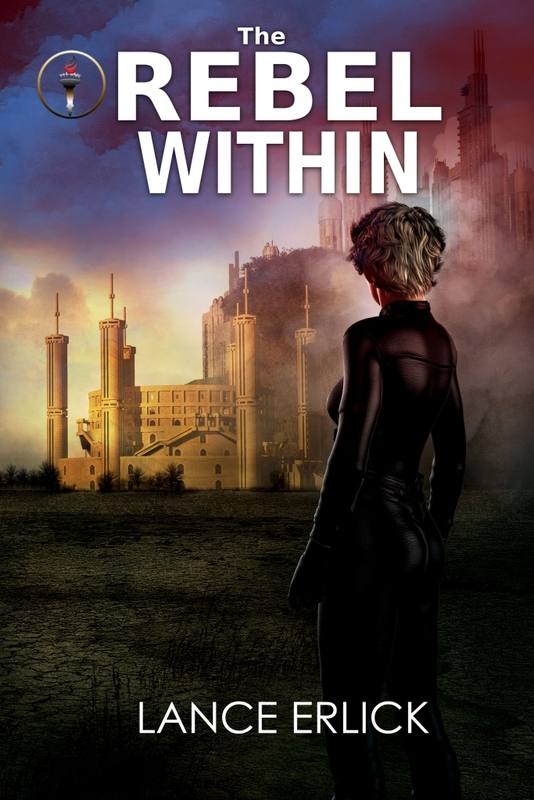 It takes dystopian, women-based worlds to a new level. After the first book ended with one of our major characters winning in the arena, but shunning the thought of killing a man, Morgan, we find ourselves thrust into book two, with so much excitement and emotion sweltering to the surface. We watch as a selection of females show us what the ‘peace’ in this female-driven world is really like. Secret upon secret, slathered in a sauce of secrets seems to be what these girls eat. Everywhere we turn, people are watched, monitored and keep in order. Everyone has their own agenda, which has often been set in place by someone above them benefiting from the success or failure of their agenda. Even thoughts are sacred, as we see Morgan (and a few others) hack into the minds of our readers. With nothing private and everything at stake, we follow along as this supposedly peaceful, oestrogen driven world starts to crumble. From love to hate, and every emotion in between, we find ourselves choosing sides, as readers, and often wondering if we are following the right side. I found myself drawn to the pages, often fighting for the side I thought best, chapter after chapter. I loved every minute of this read. IT was written very well, provided a great deal of action (though not all the action was physical, as most of the characters were battling mental and emotional wars as well). I was left hanging after each page, itching for more and this was only compounded as I turned the final page. 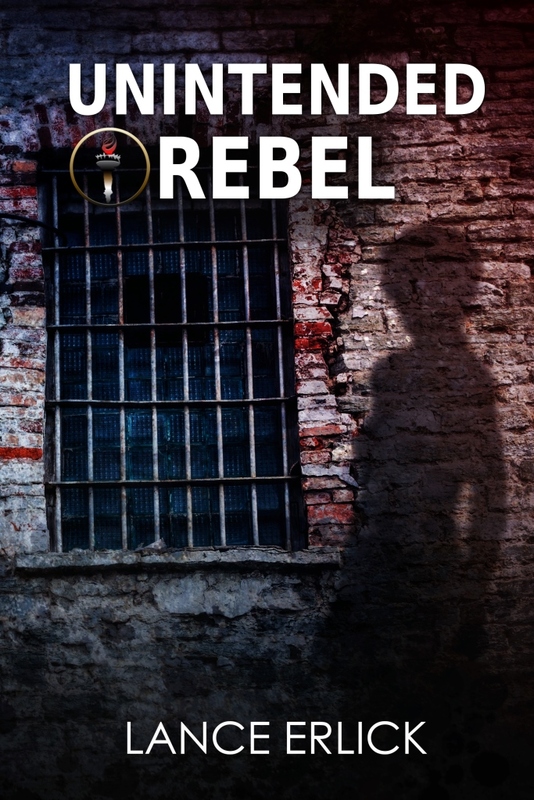 I have been left wondering, desperate to read Rebels Divided and find out how the story pans out. I highly recommend this read if you are into Dystopian reads that give you more than just a physical war, but play on your emotions and toy with your thoughts. In Android Chronicles: Reborn, Jeremiah Machten created Synthia’s mind based on breakthroughs in neural-network designs and in quantum computing to allow a higher density of information to reside in her brain cavity. Neither violates known laws of physics. However, both require significant leaps in conceptualizing the hardware and software, and in developing the tools. Currently, quantum computing is limited to a few bits of information and AI is limited to faster processing of basic programming that has been around for some 50 years. Machten built Synthia to illegally acquire information to support his research and development into ever more sophisticated AI androids. 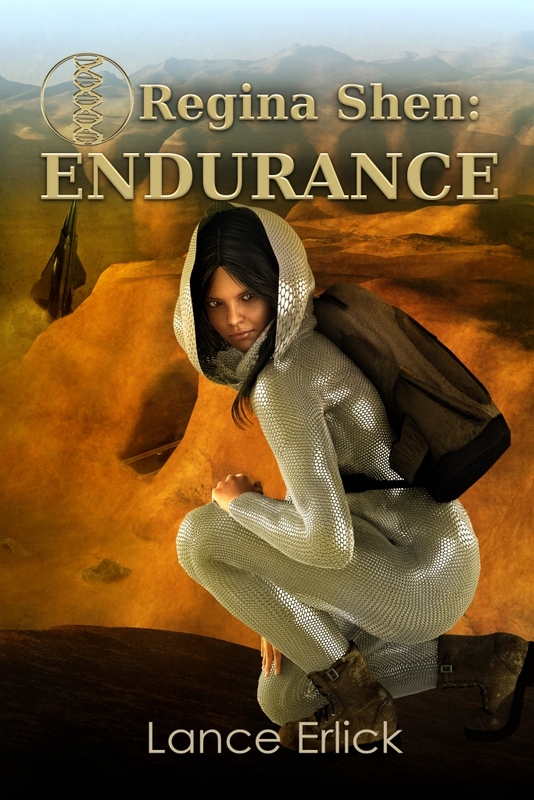 To enable Synthia to do everything he expected of her requires a lot of mental capacity. So he provides her with two quantum brains for capacity and for backup should one have a problem. To allow her speed, he designs her with 50 mind-streams to process information. This allows her to do 50 tasks at a time, to multitask, and to do so at high speeds. To give her access to the internet, he provides her with 50 network channels that allow her to manage that many searches and interactions at the same time. Fearing that she’s becoming too powerful, Machten purges her data every day except for what she needs to function and provides her only the tools needed for an immediate task. Though this process is inefficient, it allows him to get what he wants from her and keep her under his control for six months. It was love at first page! Seriously I loved everything about this book, I’m even in love with the book cover. I took this book everywhere with me so I could read it every little chance I got and couldn’t wait to continue reading when I had to put it down for any reason. 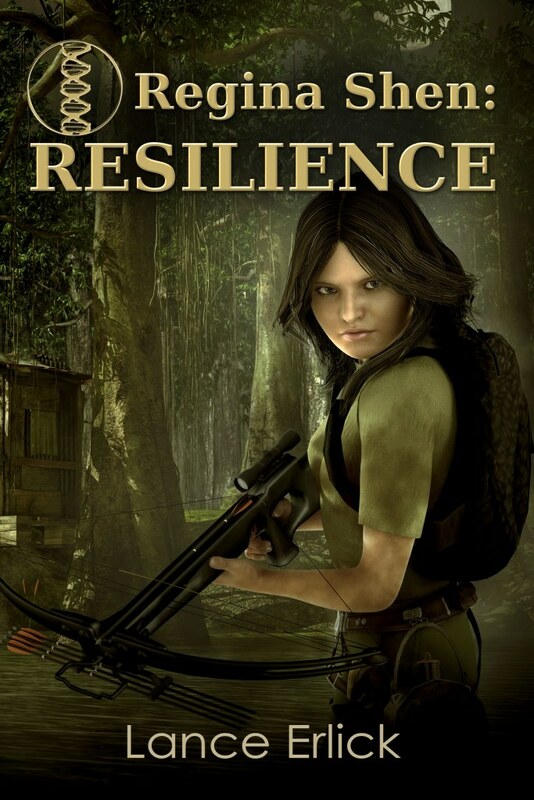 Resilience had all the things I want in a book especially my top 2 requirements of a great book which are great characters and plenty of action/adventure. 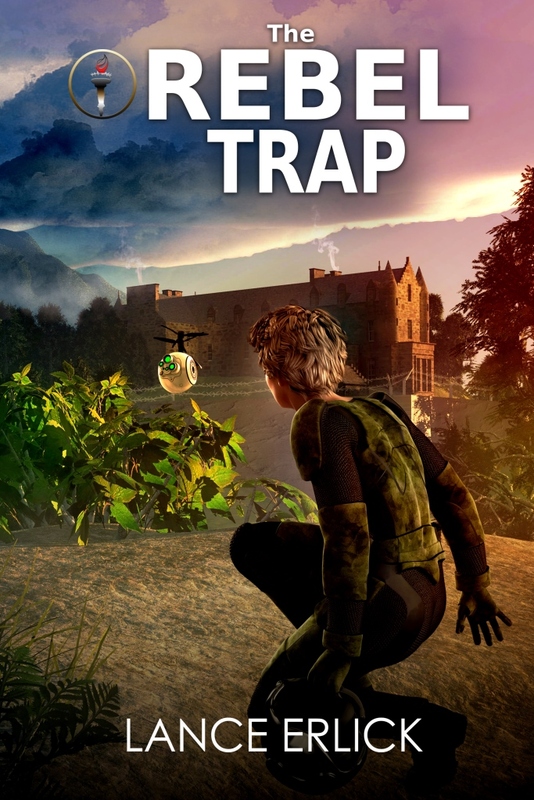 The story reminds of The Hunger Games and The Maze Runner (the movies because I have never read the books). Resilience is the first book in a series and that makes me happy because I’m not ready to leave Regina Shen’s world yet, even though it’s a world without men and that would be sad :(. I can’t wait to read them all and find out what Regina and her friends get into next! I would recommend this book to EVERYONE! I give it 5 stars. My Thoughts: What, another short review? Oh, no. No, seriously guys, I’m telling you that a short review is better. It means that I am very impressed and liked the book so I can’t find anything wrong with it. First off, the beginning is incredible. In my time, I’ve come across books with really really good intros, and then I’ve hit some that are just plain eh. And it’s rather annoying to get the latter and then have to finish the book. Luckily, this is not one of those. Its beginning is sound and keeps the reader interested in the next part. The style of writing is so good. I’m really jealous and I might take notes because wow, I think the style is excellent. Lance knows how to write. I like how the characters are developed right away and it doesn’t take two, three chapters to know who our main character is. I got a feel for Annabelle right away, from page one. Look at the synopsis if you haven’t already, then come back to this paragraph. Isn’t that such a great idea? I love it. And it progresses very nicely, shaping the story fully. 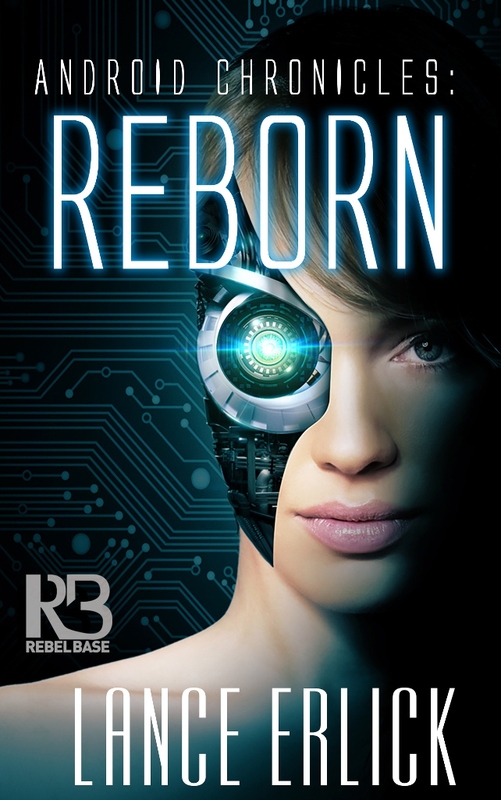 In Android Chronicles: Reborn, Synthia’s creator (Jeremiah Machten) is motivated by two things—to create a perfect android companion and to develop a tool he can use to spy on and steal from his competitors and anyone else involved in the creation of artificial intelligence and androids. He acquires components to build her body from Korean and Japanese robot designers and modifies her to look, walk, and move like a person. This way she can fit in, pass for human, and slide in and out of human encounters without drawing notice to herself when she does his dirty work. Already, Japanese robot manufacturers are creating androids that have the rudimentary appearance of humans with four limbs and a head. Separately, they’re working on facial appearance that closely mimics human expressions. Thus, Synthia is a logical extension of developmental work taking place today. But Machten wasn’t satisfied with what he could buy. Instead, he enhanced Synthia. He gave her micro hydraulics that allows her to adjust her appearance, including eye separation to fool facial recognition software. This allows her to appear in public multiple times without drawing a connection that it’s the same individual. He adjusted the seams of her artificial skin to make her waterproof, though the presence of water and electricity sends static warnings through her system. He also adjusts her scalp so that he can firmly attach wigs and allow her to change those quickly, again to conceal her identity in public when she does his bidding. Because Synthia’s brain and mobility consumes so much power, Machten adapts the best battery technology in the world to fit within her chest to power her systems for two days without recharging. In other words, he makes her superior to all other AI androids he knows of. I am thoroughly surprised at how enjoyable this book was for me. Don’t get me wrong. I enjoy a great Sci-Fi. Sometimes I have a hard time getting into them and I stop for a break. It never has anything to do with book or author, writing or whatnot. That is all on my and personal preference. 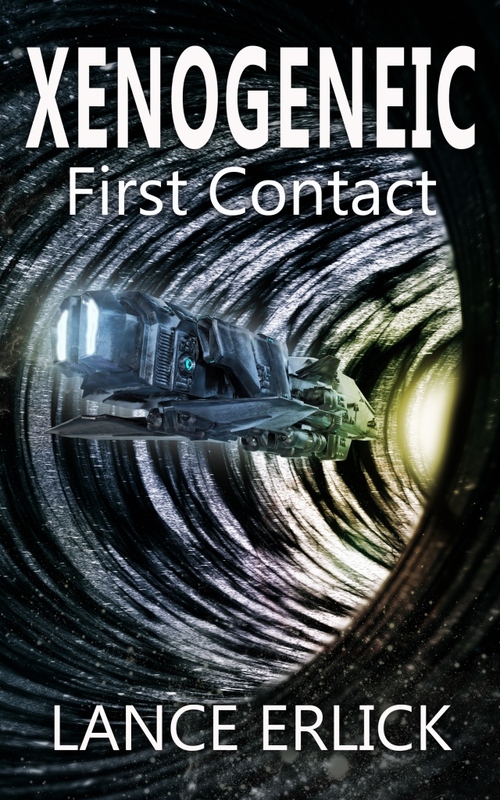 Xenogeneic: First Contact has strong female characters, both lead and villain-ish characters, and a very determined, handsome, shuttle captain. Yes. Marc’s determination must be acknowledged. Elena’s character is admirable. She is on a strange planet; she has just reunited with her father, who has been supposed dad for last eighteen years, and learns that she has a younger sister. Elena’s father tries to warn her about “evil K”, which is where he breathes his last. I must admit that I got so frustrated with plot because it just felt like Elena, Marc and rest of crew, were going in circles trying to find a way to either get off this foreign planet, or defy their host, Knoonk. However, once I got over that hurtle, my stress level went back down to 0 and I kept reading. I liked ending. What I’m worrying about is if there will be another book. If there is, this is going to be a great series. If not, it’s still a great book. It’s technically an adult fiction, but I must say that everything was kept to a bare minimal. Most scenarios were kept behind closed doors, language was hardly there. It was great. In Android Chronicles: Reborn, Machten falls in love with his creation (Synthia). In an attempt to get her to feel the same for him, despite not having human biology, he develops an empathy chip that gives her an advanced ability to read human expressions and provide appropriate emotional responses. Unfortunately for him, instead of love, she experiences loathing for the man who purges her memories and keeps her prisoner. I’m not aware of any efforts at this point to create anything like an empathy chip and don’t see the motivation to do so except from an obsessed individual like Jeremiah Machten. To build one, would require first to develop a tool that would allow the machine to assess human situations in order to determine what range of behavioral responses would be appropriate. This requires situational awareness and sensitivity to others. As a human example, a one-sided romantic encounter calls for backing off, not persistence. Second involves developing a means to determine which of appropriate reactions is preferable in a given situation. Humans have difficulty with this, often reacting on an emotional basis that leads them to an outcome that isn’t in their best interests. And sometimes the human response to a situation, like a fire, is to run into danger to help others. In addition, people don’t come up with rational solutions to situations such as friendship and love. Could we realistically expect to teach an android, using logic, to come up with worthwhile solutions? Yet, both of the above issues are workable, given enough computing capacity and deep-dive training. The harder part of emulating human empathy would be what to do with the conclusion. Artificial intelligence can be driven by logical decision making, which might even match human choices, but that’s not the same as actually experiencing empathy. Now, perhaps we might stop here and say if an AI comes up with the same empathic outcomes as a human, that’s good enough. However, Machten wanted his android to fall in love with him. Good luck with that. Perhaps he should have treated her better. The hardest part of completing the circuit of an empathy chip along the lines of what Machten wanted was to create a connection between the chip and something that would motivate a reaction on the part of the android. The superficial answer is to provide a mechanism for the AI to arrive at a solution and then execute it. However, an intelligent AI would understand that self-sacrifice would limit its ability to continue to pursue its goals. Thus, an intelligent AI android might refuse to race into a fire to save lives. To make this empathy chip better emulate humans would require an AI equivalent to what drives human emotions. Human love is aided by oxytocin, which is the chemical reaction that motivates a new mother to love her newborn child. Without that, humans would tend to abandon their young to the elements, as other species do. To stimulate other emotive responses in humans involves dopamine, serotonin, and a host of other chemicals that react to motivate us to love, fight, flee, eat, and the other natural things missing in an AI android. However, this last step is not necessary to cause an AI android to act in all ways as if it had human empathy. We can do that by designing its goals and directives appropriately. But Machten wasn’t satisfied with that. He wanted more. Where the social-psychology module and the empathy chip differ is that the latter is intended to get Synthia to feel. It does lead her to have emergent behavior and feelings, just not what Machten intended. The social-psychology module is more of a social resource that comes to conclusions about people around Synthia and how she can socially ease the situation. Supposedly this is the final book in the series, but I am not convinced! I feel like there are still unanswered questions and curious what happens next. Things were left… unfinished. Don’t get me wrong, I feel like some things were finally explained but there are still some things that weren’t wrapped up. I definitely recommend picking up the Regina Shen series! Dr. Elena Pyetrov is a brilliant aerospace engineer with one goal in mind, travelling to space to finish dream her father had failed fulfilling 18 years ago. She is going to make if further than he did and finally prove that there is life beyond Earth. 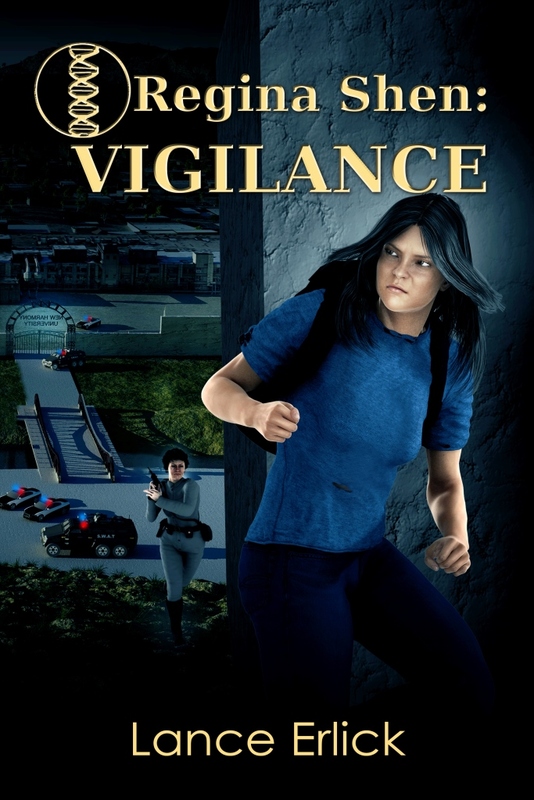 After working against government red tape and a few naysayers, she successfully convinces them that her mission is worthy of support but when day finally comes an unexpected event happens. mission goes terribly wrong and Elena’s ship is pulled off course crashing onto another planet. Elena and her crew quickly find out that their crash was orchestrated by an alien species that has kidnapped them and a number of other humans for a specific purpose. 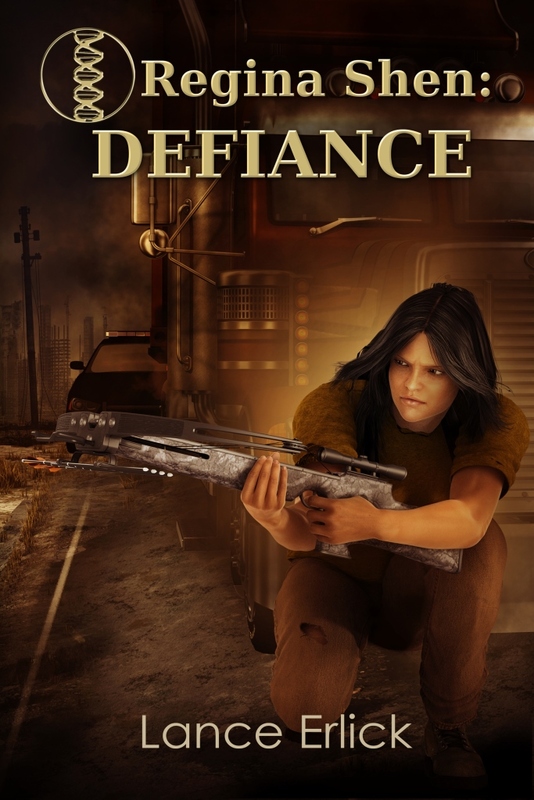 Elena will have to do everything in her power to lead humans and protect them while trying to figure out what exactly their captors have in store for them, humanity and with Earth. 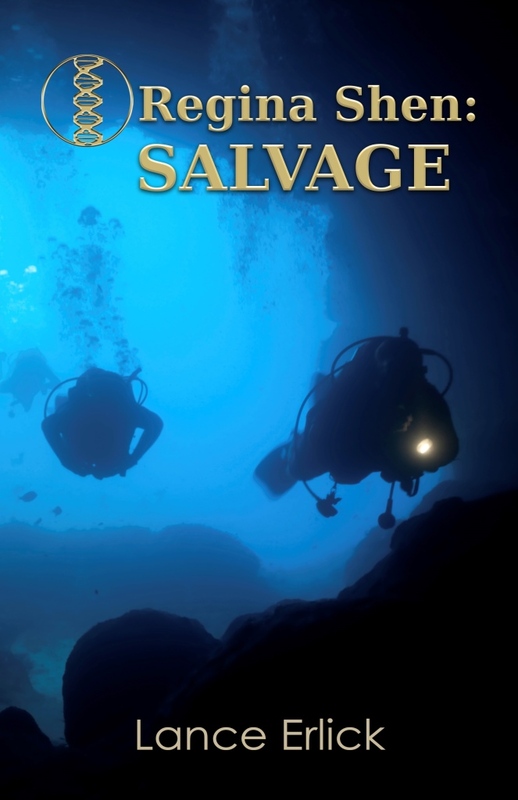 The storyline is packed full of tons of twists and turns that keep reader engaged in characters and plot. 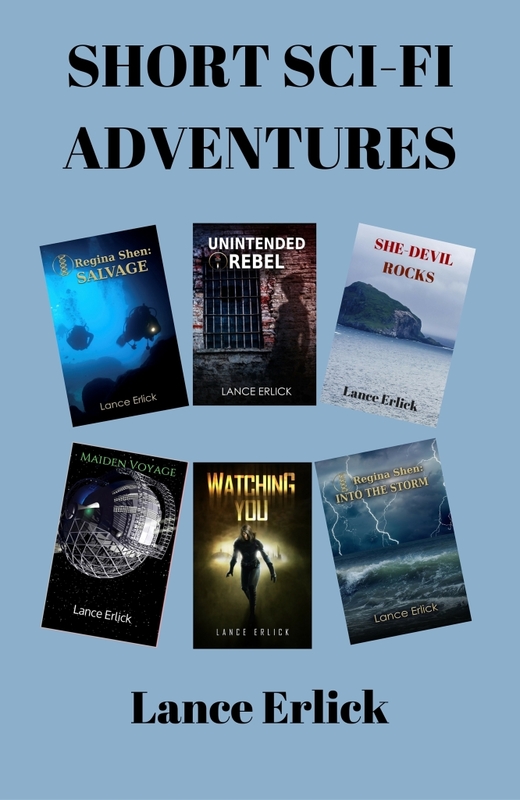 There is a great deal going on from inner fighting between factions of Knoonk (the aliens) to inner fighting between human clans and interpersonal relationships between Marc, Elena and her sister. There is never a dull moment even when moments in storyline are meant to be dull. I do wish there had been more detailed background focus on Knoonk concerning what exactly happened within their civil war to cause factions and why they made choices they made concerning their religion, gender and so on. Xenogenic is a great sci-fi story with a host of strong female characters leading charge on both sides of conflict. descriptive writing paints a detailed picture that doesn’t overwhelm sci-fi plot but adds to visuals and flow of story. Overall it’s a great book with potential to carry on as series that delves deeper into continuation of Elena and her sister’s life on Earth. Android Chronicles: Reborn includes spy technology that’s an extension of what we have available today. We have drones. In the story, camera drones become much smaller, including what are referred to as mosquito-drones that are difficult to see. Their weakness is they’re light and at the mercy of the wind. Their power is that Synthia can fly them remotely and station them where she can listen in to private conversations as a tool to protect herself. Today we have widespread availability of cameras for monitoring traffic and around public transportation like airports and train stations. We also have digital personal assistants appearing in more and more homes. In the future, these will be even more widespread and less visible. 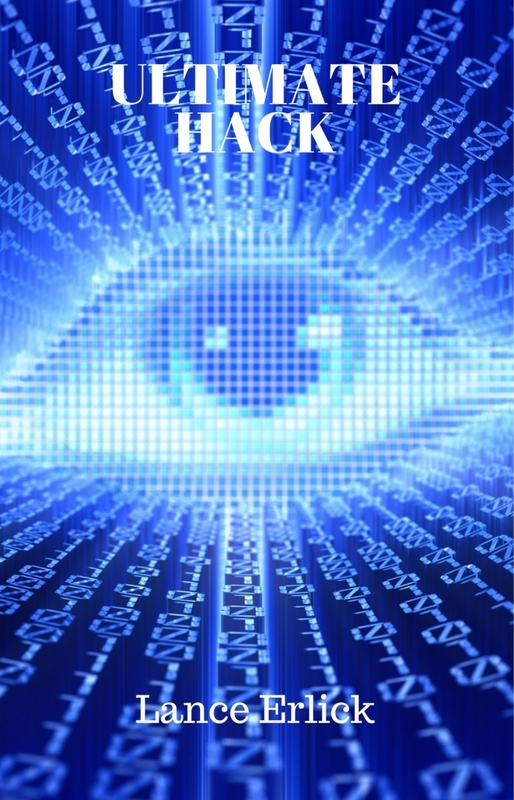 All electronic equipment has tradeoffs between ease of use and vulnerability to hacking. Synthia finds a way to hack into them in order to watch and listen in on people who might wish her harm. In the story, Jeremiah Machten’s primary goal is to collect the best information worldwide about the development of AI and androids so he can build the finest specimen. Since most of this information is private and proprietary, the only way to do this is to hack into competitor databases. To accomplish this, he provides Synthia with the most advanced hacker skills he can obtain from dark-web sites across the internet. He has her use her artificial intelligence learning to enhance her ability and bring all these tools together in one place. Synthia further upgrades these skills and uses them and others obtained from these dark-web sites in her battle of wits with Machten to gain her freedom. Her accumulation of dark skills allows her to hack into the ubiquitous use of self-driving cars in her world when she needs a ride. Machten has her hack into traffic and police cameras to keep an eye on those who might come after him for his illegal activities. Moving beyond his directions, she learns how to hack into aerial drones and other systems to keep track of what’s going on around her. In other words, she becomes a surveillance mastermind. While bringing all of these hacking tools together in one physical place would be novel, the types of tools are extensions of what we’ve seen in the news today. When she meets a system she can’t hack by traditional means, she leans on her miniature drones to capture passwords and other secure information. This makes her a significant threat to those who wish to harm her and a key reason Machten fears her.